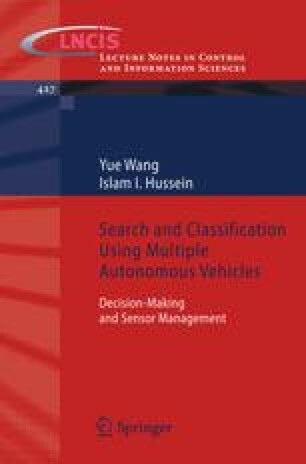 This book investigates real-time decision-making strategies for domain search and object classification treated as tasks competing for the same limited sensory resources using Multiple Autonomous Vehicles (MAV) over large-scale domains. In this chapter, we provide an overview of the literature on MAVs and their applications in search and classifications. Section 1.1 introduces the motivation and objectives of this book. Section 1.2 reviews the related literature on MAV systems, domain search, object classification and tracking, and decision-making strategies. Section 1.3 summarizes the organization of this book. Section 1.4 lists the research contribution.